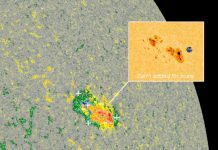 Aurora Alert! 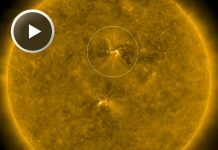 Solar storm creates CME directed towards Earth! 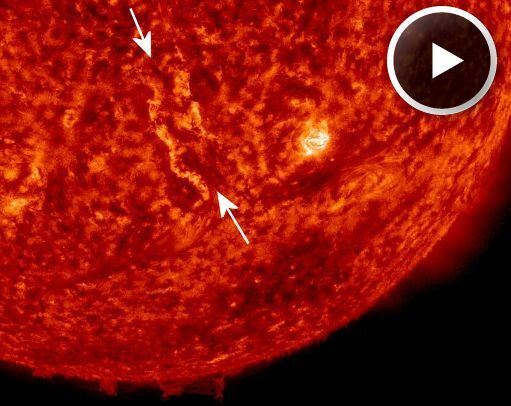 A magnetic filament eruption created a canyon of fire and a coronal mass ejection (CME) which billowed away from the blast site on August 15, 2014. As observable on the picture above, the glowing walls of the canyon trace the original channel where the filament was suspended by magnetic forces above the stellar surface. From end to end, the structure stretches more than 250,000 km. AMAZING! 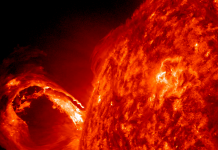 This massive explosion triggered a coronal mass ejection (CME) proporly described as a ‘halo CME‘. It is directed towards Earth. So watch up the sky… Auroras will be around on or about August 18, 2014.